EMMA WALTON HAMILTON is a best-selling children’s book author, editor, producer, and arts educator. She has co-authored over thirty children’s books with her mother, Julie Andrews, seven of which have been on the New York Times best-seller list, including The Very Fairy Princess series (#1 NY Times Bestseller), Julie Andrews’ Collection Of Poems, Songs And Lullabies; Julie Andrews’ Treasury: Poems and Songs to Celebrate the Seasons; the Dumpy The Dump Truck series; Simeon’s Gift; The Great American Mousical and THANKS TO YOU – Wisdom From Mother And Child (#1 New York Times Bestseller). 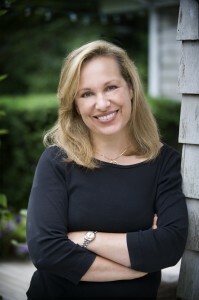 She serves as the Editorial Director for The Julie Andrews Collection publishing program, dedicated to quality books for young readers that nurture the imagination and celebrate a sense of wonder. Since 2008, Emma has been a faculty member for Stony Brook Southampton’s MFA in Creative Writing and Literature Program, where she teaches children’s literature courses and serves as Director of the Children’s Literature Fellows program as well as the annual Southampton Children’s Literature Conference. She is also Executive Director of their Young Artists and Writers Project (YAWP), an inter-disciplinary writing and creative arts program for middle and high school students on Long Island. Independently, Emma hosts the Just Write Children’s Books online home-study courses in writing picture books, chapter books and middle grade and young adult novels, and provides many other products and resources for children’s book authors – such as her “Editor-in-a-Box” revision kits for picture books and novels, and The Ultimate Guide to Picture Book Submissions, co-created with children’s author and 12X12 Picture Book Challenge host, Julie Hedlund. Emma is a co-founder of Picture Book Summit, a world-class, annual event for picture book writers featuring live interviews, workshops and agent & editor panels that takes place online on the first Saturday in October. She also works as a children’s book editor, providing editorial evaluations, line-editing services and private consulting. Emma is also an award-winning voice-over artist, having provided voicing for numerous audiobooks, including Gitty Daneshvari’s School of Fear, Patrick McDonnell’s Me…Jane, Nancy Tafuri’s All Kinds of Kisses, Julie Andrews’ Collection of Poems, Songs and Lullabies (2010 Grammy Award, Best Spoken Word Album for Children), and Julie Andrews Treasury for All Seasons: Poems and Songs to Celebrate the Year, as well as for radio, television, theater and industrial spots.